Despite a slow start, I did eventually get dragged into this one and didn't put it down until I finished. The concept of phoenixes was quite intriguing and different, so it definitely interested me. 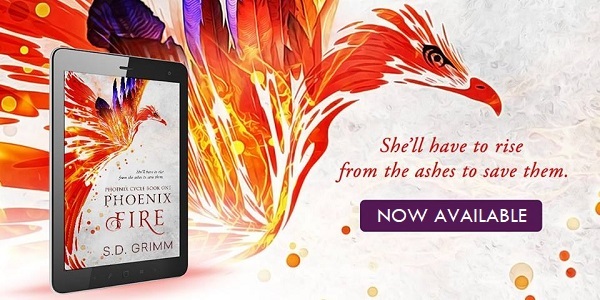 Ava, Cade, and Nick are Phoenix siblings, eternally fighting through time to save their race. The catch, they come back as children and have to grow into their teens before remembering anything, even each other. Each life has become more precious as their enemies gain in strength and none know just how long they have or if they can defeat them. Overall, this was an interesting read. I am looking forward to future books and seeing where the author takes this. It has great potential for sure. I would recommend it to those interested in lighter fantasy like myself. S. D. Grimm’s first love in writing is young adult fantasy and science fiction. She is represented by Julie Gwinn of the Seymour Agency and author of Scarlet Moon. She currently has four books under contract, including the remainder of her YA fantasy series Children of the Blood Moon. When she’s not writing or editing, Sarah enjoys reading (of course! ), practicing kickboxing and Brazilian jiu jitsu, training dogs, and binge-watching shows with great characters. Her office is anywhere she can curl up with her laptop and at least one large-sized dog. 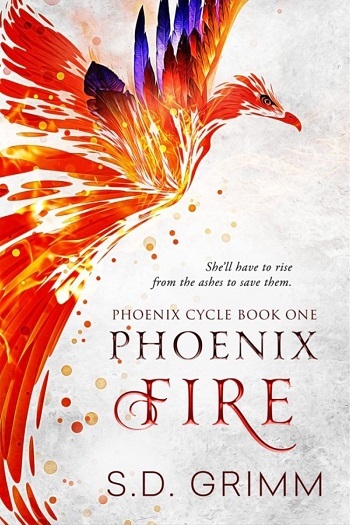 Reviewers on the Wicked Reads Review Team were provided a free copy of Phoenix Fire (Phoenix Cycle #1) by S.D. Grimm to read and review.